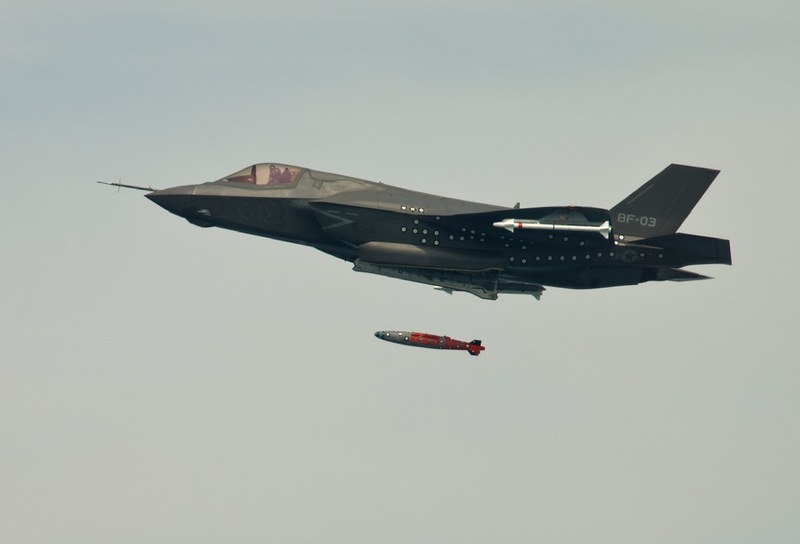 F-35B test aircraft BF-3, flown by Lockheed Martin test pilot Dan Levin, completed the first aerial weapons release Aug. 8, for any variant of the aircraft. BF-3 dropped an inert 1,000-pound GBU-32 Joint Direct Attack Munition over an Atlantic test range from an internal weapons bay. The F-35B is the variant of the Joint Strike Fighter designed for use by U.S. Marine Corps.